A TWO-year-old boy is fighting for his life in hospital after suffering serious head injuries in an early morning school run car smash. The child, from Carracastle, Charlestown, in Co Mayo, sustained the injuries when the family's car collided with a taxi van on the N5. Elsewhere, a female pedestrian in her mid-50s was killed when she was struck by an articulated truck. Maura Murphy was killed on Slievenamon Road in Thurles, Co Tipperary, at around noon yesterday. In the first incident the toddler was travelling with his mother, Bernie McNicholas, who was bringing her two older children to school in Ballaghaderreen, Co Roscommon. The crash happened near a set of temporary traffic lights where the road meets the new Ballaghaderreen bypass, which is currently under construction, at Currina, in Carracastle. 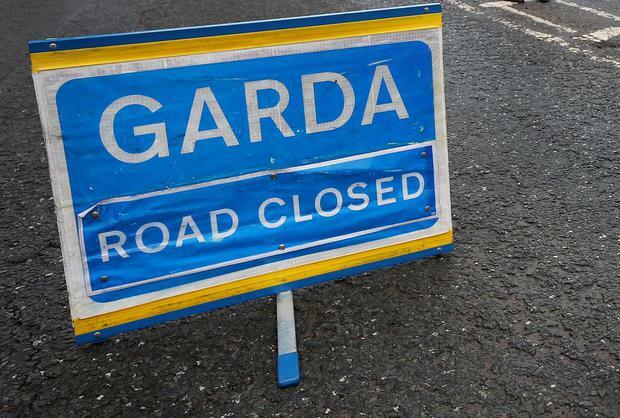 The toddler sustained what gardai at the scene described as serious head injuries, and had to be airlifted to University Hospital Galway before being transferred to Dublin's Temple Street Hospital. The mother and her other two children also suffered injuries. The children, as well as the driver of the taxi, PJ McDonagh, were transferred to Mayo General Hospital by ambulance. Mr McDonagh (31), also from Charlestown, was discharged from hospital some hours later with bruising to his nose. Anyone with information is asked to contact Castlerea garda station 094-9621630 or the Garda Confidential Line 1800 666. Meanwhile tributes have been paid to the Tipperary mother who was fatally injured after being struck by an articulated truck. Ms Murphy , who was aged in her fifties, lived about a mile outside the village of Shinrone. Local Fianna Fail councillor Peter Ormond said that the "whole village is in absolute shock" and was deeply saddened at the death of Mrs Murphy, who worked in the community nursing unit in Birr, Co Offaly. He said: "Our sympathies go out to Micheal her husband, and their children."